The disruption of dual antiplatelet therapy (DAPT) due to non-compliance or bleeding is known to significantly increase the risk of adverse outcomes after percutaneous coronary intervention (PCI). However, it is currently unknown if there are differences in the predictors and clinical impact of disruption due to non-compliance compared with bleeding. The patterns of non-adherence to antiplatelet regimens in stented patients (PARIS) registry was an international, multicenter prospective study of PCI patients discharged on DAPT (aspirin + a P2Y12 receptor). We analyzed the incidence, patient characteristics, predictors, and outcomes in patients with DAPT disruption due to non-compliance as compared to DAPT disruption due to bleeding in the PARIS registry. Predictors of non-recommended disruption and bleeding disruption were assessed using logistic regression. Risks associated with disruption on major adverse cardiac events (MACE, a composite of cardiac death, definite or probable stent thrombosis, spontaneous myocardial infarction, and target lesion revascularization) were analyzed using time-updated Cox regression over 2-year follow-up. Out of 5018 patients, the rate of non-compliant DAPT disruption was 1.6% at 30 days (n = 79), 6.5% at 12 months (n = 328), and 9.1% at 2 years from PCI (n = 457). The rate of bleeding DAPT disruption was 0.6% at 30 days (n = 32), 3.1% at 12 months (n = 156), and 4.6% at 2 years (n = 229). Multivariate predictors of non-compliant disruption included female gender, history of smoking, acute coronary syndrome, and US patients which were associated with greater risk; and dyslipidemia and discharge PPI which were associated with lower risk. Multivariate predictors of bleeding disruption included older age, prior MI, and discharge warfarin which were associated with greater risk; and US region and intervention to the LAD which were associated with lower risk. 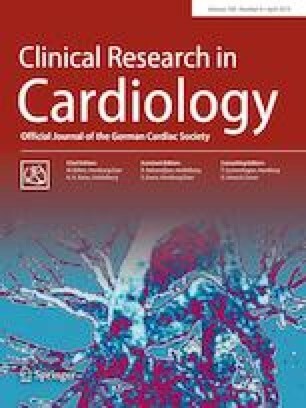 Non-compliant disruption was associated with a significantly greater risk for MACE (HR 1.73, 95% CI 1.17–2.54, p = 0.006) and spontaneous myocardial infarction (HR 2.93, 95% CI 1.85–4.65, p < 0.001). Bleeding disruption was associated with a significantly greater risk for all-cause death (HR 1.93, 95% CI 1.22–3.08, p = 0.005). Approximately 1 in 10 patients disrupts DAPT due to non-compliance and 1 in 20 disrupts DAPT due to bleeding. Disruption due to non-compliance resulted in higher risk for ischemic events and disruption due to bleeding had higher subsequent mortality. These data warrant efforts to focus on patient education in those at high risk of non-compliance.